Topanga and Topanga Canyon, in Los Angeles County California - Car Accident Lawyers with Over 40 Years of Experience and Success Rate of Better Than 95% in Winning Thousands of Injury & Wrongful Death Cases! Topanga, located in Los Angeles and rising from the Pacific Coast Highway (PCH) and Malibu to Woodland Hills and Calabasas, as gorgeous as it is, with its beautiful mountains, canyons, creeks, trails and trees, suffers from car, truck, bicycle, motorcycle and pedestrian accidents - some catastrophic and some even causing fatalities with wrongful death injury accident clams. 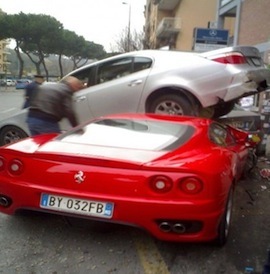 Our expert and experienced Topanga car accident injury lawyers are here to help you. If you or someone in your family is the victim of a personal injury or death accident, whether it be on the Pacific Coast Highway (PCH) where motorists often speed or pass without looking and sometime drive while under the influence of intoxicant substances or the scenic but windy and dark Topanga Canyon or intersecting Old Topanga Canyon Road, you are not alone. So many have been injured there and we understand the problems and crisis you face. Our injury lawyers and legal team genuinely care and want to help you during this extremely difficult time. Our personal injury and wrongful death accident attorneys know that car accidents in Topanga and on Topanga Canyon can cause serious injuries, substantial property loss, and sometimes even wrongful death. The success rate of our wrongful death, car accident personal injury claims attorneys is better than 95% in winning personal injury and wrongful death accident cases in Topanga, Topanga Canyon, Malibu, Woodland Hills and all throughout Los Angeles and California. With more than 40 years of strong experience in handling and settling thousands of car accident, truck accident, motorcycle accident, bicycle accident and pedestrian accidents and other serious injury accident claims, we are law firm of accident claim attorneys with a strong support staff offering our legal services for Topanga, Topanga Canyon, Palisades, Malibu, Woodland Hills, Calabasas, and all of Los Angles. Our highly qualified and experienced car accident injury attorneys know how to handle car accident cases, from getting damaged cars towed and repaired to total loss claims resolved, to instant medical care without payment due until your case is resolved, to maximum settlements while providing legal advice and clear explanations of the claims process all along the way. To see what other say about our law corporation, please see our testimonial section. There are many time rules (including the California statute of limitations) and procedural rules (e.g., in car, motorcycle and truck insurance policies, the California DMV, etc.) so please do not wait and lose your rights. Too often potential clients contact us AFTER the California statute of limitations has passed and there is nothing anyone can do to help them. Please do NOT let that happen to you – Please contact us now at 818-222-3400 or 1.866 INJURY 2 (after hours just dial “1”) for your FREE & CONFIDENTIAL consultation and case evaluation. Our attorney consultation is absolutely FREE and if we take your accident case, our Topanga injury attorneys work on a contingency fee, which simply means there is NO fee paid by you until you WIN! What Our Topanga Wrongful Death & Personal Injury Lawyers Assist You With? Medical Care: Serious injury and wrongful death car accidents in Topanga and Topanga Canyon and all around Malibu and woodland Hills often leave victims dealing with serious injuries that require timely care, physical therapy, and medical treatment. The accident lawyers for Topanga help clients obtain medical care, including doctors, specialists such as orthopedic and plastic surgeons, neurologists, dentists, and psychologists, usually without any payment due until the claim are resolved. Moreover, clients can receive help with prescription medications, X-Rays, including MRI and CT scans, again usually with no payment due until their claim is resolved. Vehicle Repairs: The car, truck, & motorcycle collision accidents in Topanga and Topanga Canyon can cause huge damages to cars, trucks, and motorcycles. Our Topanga accident lawyers and law offices help you with vehicle repair, storage, towing and if appropriate, total loss replacement and free car rental. Cash Advances/Emergency Loans: Topanga car accidents can reduce your finances especially with unexpected medical bills and added expenses to take care of at a time when you may miss work and suffer a loss of earnings and other income. We understand this. Our experienced Topanga car accident lawyers and law offices will assist you in receiving loans and advances to cover those additional expenses. Transportation to Doctor: Our car accident attorneys for Topanga, Topanga Canyon, Malibu and Woodland Hills assist clients in finding doctors, arranging appointments and, whenever appropriate, arrange transportation for injured clients to and from the hospital, medical clinic and other doctor and physical therapy appointments. If you need any kind of assistance with the transportation, just let us know. We want to help you! Topanga is a designated place in the Western Los Angeles County of California. That means it is not a separate city and it is located within Los Angeles County. Situated in the beautiful Santa Monica Mountains, the community of Topanga lies in the famous Topanga Canyon. The narrow southern portion of Topanga at the coast of the Pacific Ocean is by PCH and in between the city of Malibu and the city of Los Angeles and its neighborhood of Pacific Palisades. As per the 2010 census, Topanga has a population of about 8,289. The ZIP Code of Topanga is 90290 and the telephone area code is primarily 310 with 818 only at the northerm end of the Canyon by Woodland Hills and Calabasas. It is in the 3rd county Supervisorial district. The area typically receives about 22 of rain annually. Topanga Beach lies on the coast at the southern outlet of Topanga Creek. 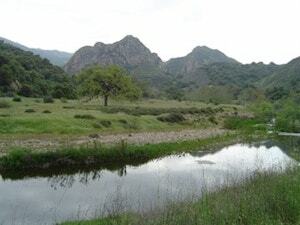 The southern portion of Topanga Canyon largely follows the Topanga Creek. North of the intersection of Topanga Canyon and he very scenic and windy Old Topanga Canyon Road is the Santa Monica Mountains. 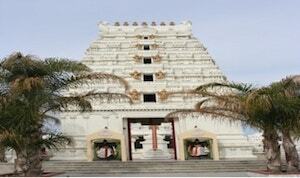 Topanga is a name given to the area by the Native American indigenous Tongva tribe and means a place above. It was the western border of their territory, abutting the Chumash tribe that occupied the coast from Malibu northwards. In addition, Topanga is known as a bohemian enclave -- attracting artists, musicians, filmmakers and others. There are numerous festivals that have been organized in the Canyon, including the Topanga Days Festival and Topanga Earth Day. The famous Topanga Film Institute hosts the annual Topanga Film Festival. The festival endeavours to bridge cultures, create and expand community, provide cultural exchange and networking opportunities. The location of Topanga in the Santa Monica Mountains also makes the natural surroundings an important part of the culture. There are many trails for short walks, hiking, mountain biking, horseback riding, bird watching, and rock climbing. Most of the Topanga residents are zoned to schools in the Los Angeles Unified School District (LAUSD), including Topanga elementary school, Taft High School and Palisades Charter High School. Some portions are in the Santa Monica Malibu Unified School District. Those portions are zoned to Webster Elementary School and Malibu High School. The county of Los Angeles Public Library operates the Topanga Library. This region experiences warm and dry summers, with surprisingly no average monthly temperatures above 71.6. This differs considerably from nearby Woodland Hills where summer temperatures sometimes exceed 100 degrees. Topanga has a warm-summer Mediterranean climate, but not a hot climate. Having 40 years of experience and continuing membership with California State Bar. How to Contact a Topanga Car Accident Injury & Wrongful Death Lawyer? If you have been involved in a Topanga, Topanga Canyon, Malibu or Woodland Hills car accident or any motor vehicle collision, call us right now for your FREE & CONFIDENTIAL car accident personal injury advice. You also simply go to our contact us form and tell us about your car accident case or any other injury accident case you had. You can also view our lawyer profiles to know more about our skilled and well-qualified lawyers. Furthermore, learn about the formalities, procedures, and rules associated with personal injury and wrongful death claims by visiting our Car Injury Accident Web Site; and for more specific help about your own specific particular car accident injury case just call us now at 818-222-3400 or 1.866 INJURY 2 (after hours just dial “1”) for your absolutely FREE & CONFIDENTIAL consultation on your car accident injury case. Our car accident injury lawyers offer FREE legal consultations and evaluations on Topanga, Topanga Canyon, Malibu, Los Angeles and Woodland Hills car accident claims and take our clients’ cases with utmost concern and priority. For an easy, free and confidential consultation, fill-in the details in our contact us form to let us know about your Topanga or other California car accident claim or any other injury claim. WE ARE NEARBY! PLEASE CALL US NOW – YOU WILL BE VERY GLAD THAT YOU DID!